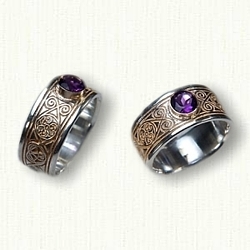 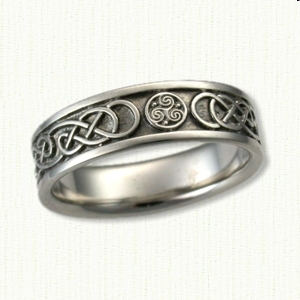 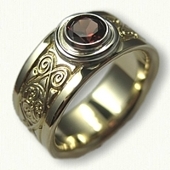 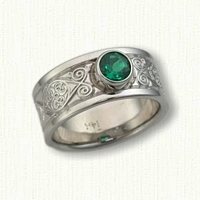 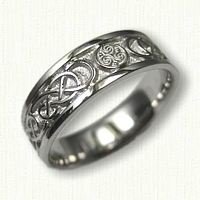 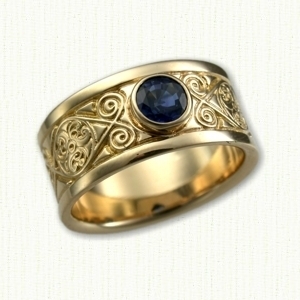 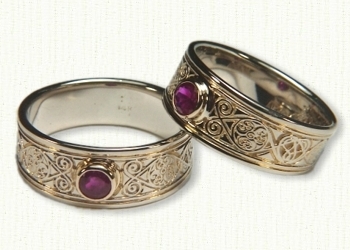 Triskele Knot Celtic Wedding Rings by deSignet - make your dream wedding rings a reality ! 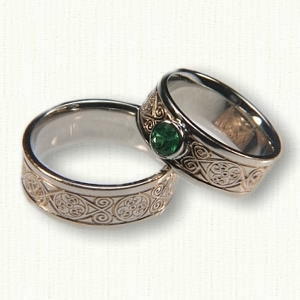 Bands are available in 14kt Yellow, White, Green & Rose, 18kt Yellow, Palladium, Platinum & Sterling Silver. 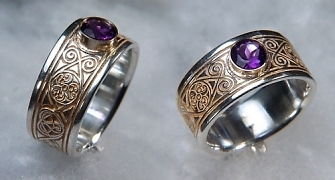 All Widths and Sizes Available. 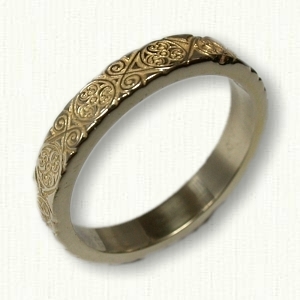 Any Combination of metals is Available. We will gladly sketch your ideas for a Custom Band.